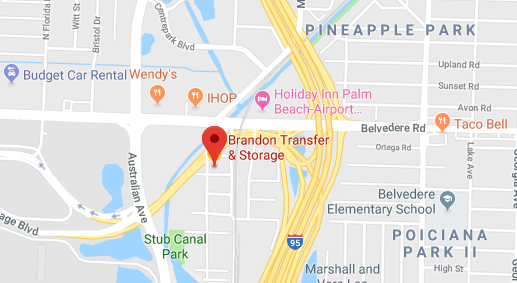 With over 100 years of providing moving and storage in West Palm Beach, FL, Brandon Transfer & Storage is a leader among moving companies in the area. In addition to world-class residential and commercial moving services, we are also proud to provide speciality moving services that many other movers are unable to provide, due to lack of proper equipment. Whether it is across town or across the country, Brandon Moving & Storage in West Palm Beach, FL will get the job done. Below is a list of some of our local service areas. When searching for movers in Palm Beach Gardens, FL make sure you put calling Brandon Transfer & Storage at the top of your to-do list. For more information about our services for moving and storage in West Palm Beach, FL and the surrounding areas, contact Brandon Transfer and Storage today! I just used Brandon Allied for my local move from my house on Palm Beach Island to their storage facility and then from their storage facility to my apartment in Fort Lauderdale. I am amazed by their professionalism.